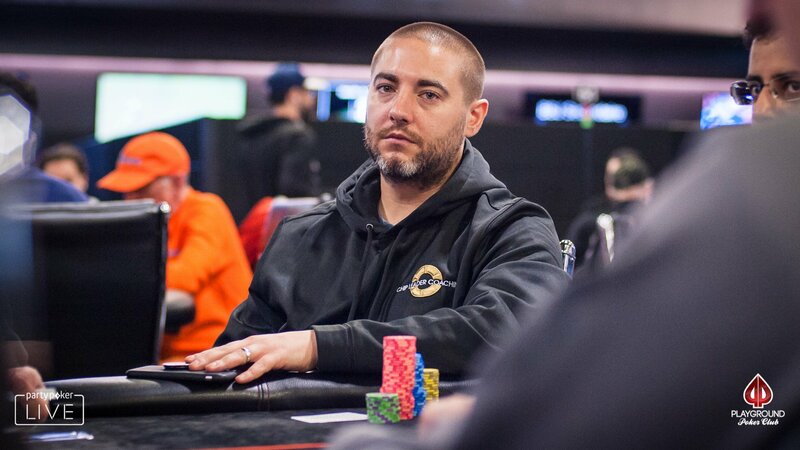 Two-time WSOP bracelet winner and Chip Leader Coaching founder Chance Kornuth has collected more than $6M in live tournament earnings. Gaelle Jaudon brought us this exclusive interview with the American pro. Somuchpoker (SMP): Your first major success was in 2010, when you won the $5,000 PLO event at the WSOP for $508K. How would you describe your evolution in poker since then? Chance Kornuth (C.K): At that time I was just playing and not really studying, and it just happened that I found a game I was good at when at that moment not so many people were good at it. Now that everyone improved and there are so many learning tools available, you really have to work on your game and improve your skills. You really have to study to stay ahead of the game. SMP: You talked recently of the importance of taking shots when you have a career in poker, which can go against the general conception of bankroll management general conception. Why is that? C.K: I think that, obviously bankroll management is important, but it’s also important to risk more of your bankroll when there is a very good spot. So as far as taking shots, it doesn’t necessarily have to be at a very hard and big game, but when you find a big game that is quite soft, it could be worth it to risk more of your money. In a big cash game that’s super deep and with fish, you are always going to be a big favorite, and if you get in to like 500 to 1000 blinds against your opponent, you are very likely to win money. Some spots have a very plus EV and lower risks even though the monetary amount appears to be higher. SMP: You’ve won $6 million in live earnings. What was the most powerful moment of your career? C.K: I think that winning the bracelet in 2010 was definitely the most enjoyable moment. After that, I became more professional about it. When you’re getting into poker, you really want to have more money and a victory—that big win that will you give the money—but I think that feeling changes the longer you’ve been into poker. SMP: You’re also playing some high rollers, and as the poker world becomes increasingly mathematical, especially at those limits, with really serious players playing a bit like robots, you still believe in the importance of live tells, and you have some old school approaches. Can you explain that? C.K: Yeah, I definitely think that live tells are underrated in a lot of ways, like what your opponents at the top or bottom of the range do is quite important. I do think that the top high roller players, the elite people, are considerably better at concealing now, but I do believe that, on average, among pros and, obviously, the recreational players you have more opportunities to see tells and use them. SMP: You’re the founder of Chip Leader Coaching. Can you talk about that project for people who don’t know about it? C.K: We’re basically a program that allows mid-stakes MTT players to improve through coaching at a correct level and move to a more advanced level in their game. We offer a combination of one-on-one sessions and group sessions, a forum, lessons, reviews, and a whole bunch of different tools. We also have a lot of videos on our forum for our members, so you can go back and re-watch them many times. In the next six months, we going to start coming out with products that let you qualify for Chip Leader Coaching, or you’ll have the ability to buy specific modules based on specific levels or methods, which people have been requesting. SMP: Why did you decide to help train other players? C.K: It was actually my business partner’s, John Beauprez’s, idea. He had been doing it in the cash game world and thought it would be a good opportunity in the tournament world. We decided to start it together, and we really enjoy it. It’s been quite rewarding work that I didn’t really expect. I always wanted to be a teacher, but the money wasn’t really adequate, and then I found poker. So I think it’s a bit ironic that I found something that I can get to teach and really enjoy it too. SMP: How do you become a good teacher? C.K: I think it’s just practice. I think I was mediocre at the beginning, but the way you are able to articulate your thoughts on hands improves over time, and you just get more comfortable. You grow from there. SMP: What are your next projects—in poker and life in general? C.K: My wife and I just bought a house in Vegas, so we’re working on that and designing the house and picking up backyard stuff etc. That’s our project now, and we’re really enjoying it! SMP: In an interview during the 2015 PCA, where you finished 3rd, you declared, “I’m just trying to be a grown-up now.” So, how do you feel now, three years later? C.K: Oh, you know, I have a mortgage and a house for the first, so I definitely feel like more of a grown up! It’s important to treat our job, playing poker, like a real job, instead of just gambling and having fun. I’m just trying to do everything more—what’s the right word—more professionally and seriously. SMP: What would be the craziest gamble you made? C.K: Oh, I’ve played $500K deep in a cash game before, which was pretty wild. I play more tournaments now and play considerably less cash. The risk v. reward is higher, but the swings are tough. Being a professional tournament player is very hard emotionally. You can have a lot of deep runs and not get there, or you can just have a terrible run on everything. Sometimes handling downswings in tournament poker is very difficult. You can just have many mini cashes or run good and play good, and it’s still not enough to make real good deep runs; it’s a difficult way to make a living. SMP: Yeah, about the cash game life, you said in an interview that the biggest pot you ever won was $450K. How did that happen? C.K: Oh god, I don’t even remember! In fact, I was playing a big PLO game at the Rio, and I three-bet 3J9T double suited and got four-bet, like $45K. It came AQx with two hearts, and I had the JT of hearts. I check-called $90K on the flop. There was $270K out there, and the turn was a Jack. I shoved for like $185K, and my opponent folded. He actually folded a top set of aces, which was quite surprising. It was quite weird, because he actually first bet on the turn. Then I said I hadn’t checked yet, so he pulled back his bet, and I shoved, and he folded. That’s definitely one hand I will remember. SMP: People know you on the circuit as an extraverted character. You often talk and laugh at the table. Is that right? Have you always been like that? C.K: Yeah, I do like people in general, most people. And I think that if we’re going to be at the poker table for such a large percentage of our time during our working hours, it’s just a loss not to interact and have fun with people. I always try to enjoy people’s company! SMP: You’ve been to many live events. What is the craziest thing you’ve witnessed at a tournament? C.K: It wasn’t fun, but the craziest thing that I’ve seen at a poker tournament was someone having a heart attack and the emergency had to come. that was scary! SMP: You’re living in Vegas and you’re on Hendon mob. Do you play a lot of regular events there, and what’s your favorite place? I saw that you played at the Bellagio a lot in the past. C.K: My favorite place to play today is Aria. It’s good for cash games. The tournament series at the Venetian, the Wynn, and the Bellagio have been also pretty good, so it depends on which game and where. SMP: Funny story question: did you take over your dad’s poker account? What happened with that? C.K: Yeah, he was playing on Pokerroom, a poker room back in the day, and my brother and I wanted to play poker. We had been playing at college a little bit, and we just told him “no dad, we’re taking it over we’re sorry!” We made him back all of his money. It was kind of cool on Pokerroom back in the day, because we could be logged onto two computers at the same time. My brother would grind No Limit cash, and I would grind PLO cash, and we would be sitting right next to each other, like 8 tables. Like, when he could get aces, I would open his table and close out his screen. It was really fun and a great way to play. SMP: Last question, what have you learned about yourself thanks to all these years in poker? C.K: Hum… that’s a tricky question. I should have an answer for that! I have no idea, sorry! SMP: Or, maybe, on what do you think you still have to improve the most? C.K: I think I still have to improve the most on patience and humility, which I think are the two most important skills at poker. 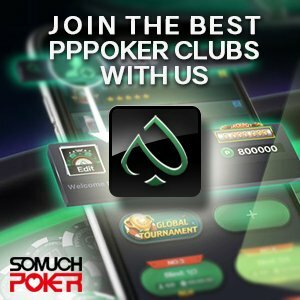 SMP: What kind of advice could you give to people who want to start poker now? C.K: Yeah, sign up for Chip Leader Coaching (https://clcpoker.com)! For people who start now, I would say to make sure you study and have a good and proper mental foundation. You can always expand from there.